Benchmark Metals Inc. (TSXV: BNCH)'s stock jumped at the open after the company released additional assay results from its Lawyer's gold and silver project. Investor reaction to these results was felt early, pushing Benchmark shares up over 10% for a market capitalization of over $8 million. 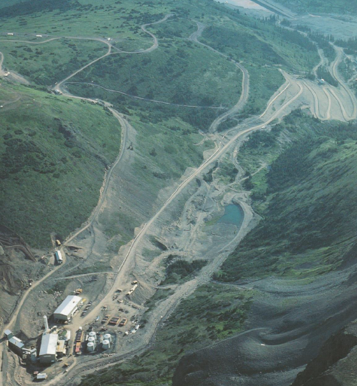 The Lawyer's project is located in the Toodoggone Mineral District, on the eastern extent of the Stikine Terrane that hosts the Golden Triangle region of British Columbia. According the company's press release, one drill hole assayed 1.58 g/t gold and 40.20 g/t silver across 58.24m with sampling ending in mineralization. Another hole intercepted 0.77 g/t gold and 32.93 g/t silver across 87.60m (including historic and new assays), further expanding the resource potential and leaving it open at depth. "Successful first-time sampling of unpublished historic drill-holes has generated more bulk-tonnage and high-grade gold and silver drill intercepts," CEO John Williamson said the statement. The drill-holes show the resource potential at Cliff Creek and Dukes Ridge extends from surface and remains open on strike, in width and at depth along the Lawyers Trend. "We continue to identify widespread gold and silver in parallel zones as well as around the main high grade zones that may be characteristic of a bulk tonnage deposit. All new assay results from the 2018 program will significantly impact the resource potential and provide targets for expansion in the 2019 drill program," Williamson added.